If you are travelling and need to exchange your Canadian Dollars to Australian Dollars at better exchange rates, then TCE online currency ordering system is what you need. After putting in the order, you can either pick your Australian Dollars from our stores or have it delivered at your doorstep. 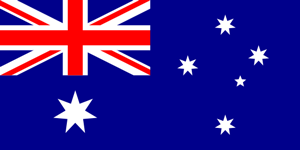 Australian Dollar is the official currency of the Commonwealth of Australia, including Christmas island, Cocos Islands, Norfolk Island and the independent Pacific Island states of Kiribati, Nauru and Tuvalu. It is abbreviated as $ or A$ to distinguish it from other dollar-denominated currencies. It is a decimal currency with 100 cents to 1 dollar. TCE provides an online ordering system, which is not only reliable but also saves time. It is a safe and secure system. You can use your Interac Debit card to make a payment online, without any hesitation. You can pick up your currency from our store or opt for home delivery. If you have opted for home delivery, then rest assured. Your package will be couriered within 2 business days via Canada Post. It is speedy, swift and saves your time.